Location: Approximately 6.5 mi E of Noorvik, in Section 3, 4-SE 1/4, T16N, R10W. GPS Coordinates: N66° 48’33”, W160° 49’16.3?. 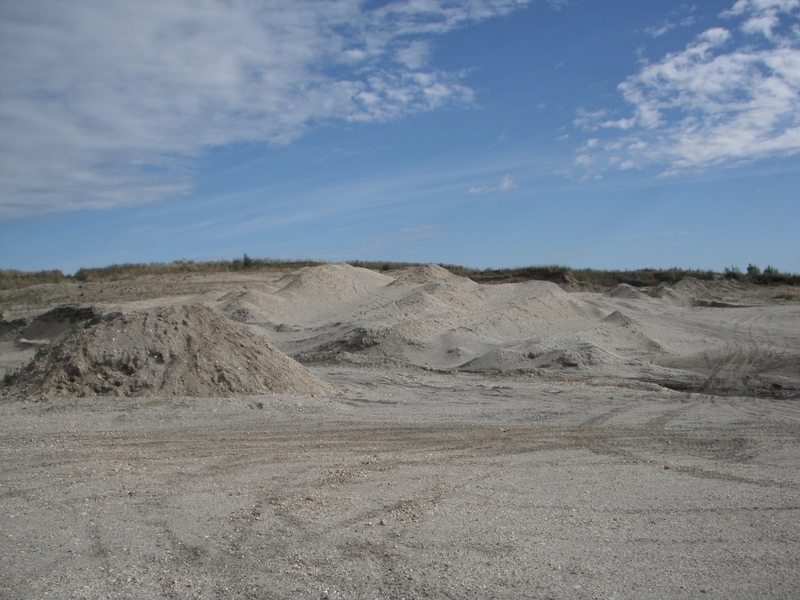 Material: Primarily gravelly sand (SP-SM) with interbedded layers of silty sand (SM), sandy gravel (GP-GM), and silty gravel (GM). The silt content of the granular material ranges from 5 percent to 24 percent, and appears to increase towards the southern end of the pit area (HDR, 1997). Clast sizes range up to 6″ (rare), but most (70%) are less than 1″. Clasts are sub-rounded quartz, quartz-mica schist and occasional greenstone. There are rare pieces of coal. Sand lenses range up to 4? thick. Hotham Peak Pit is managed locally by the Native Village of Nuurvik (IRA). The IRA transports materially locally, for a fee. Contact the IRA directly for all gravel requests at (907) 636-2144 or email transportation@nuurvik.org.